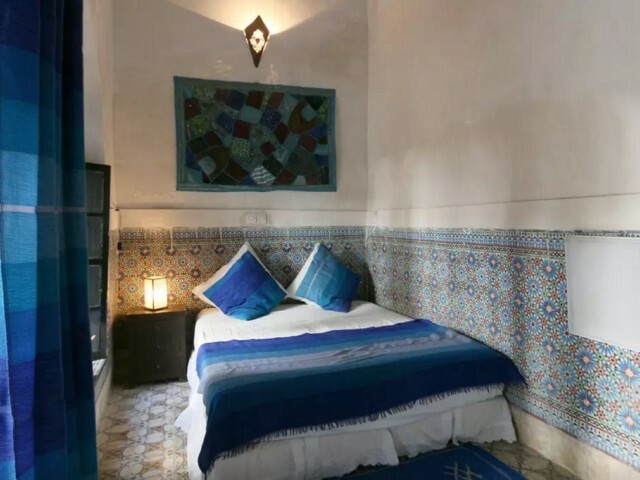 The Riad magic d? 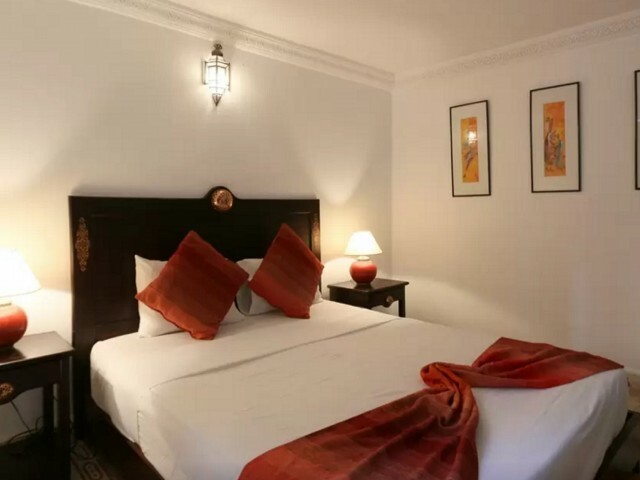 Orient is a beautiful residence where tradition is combined with elegance and refinement. 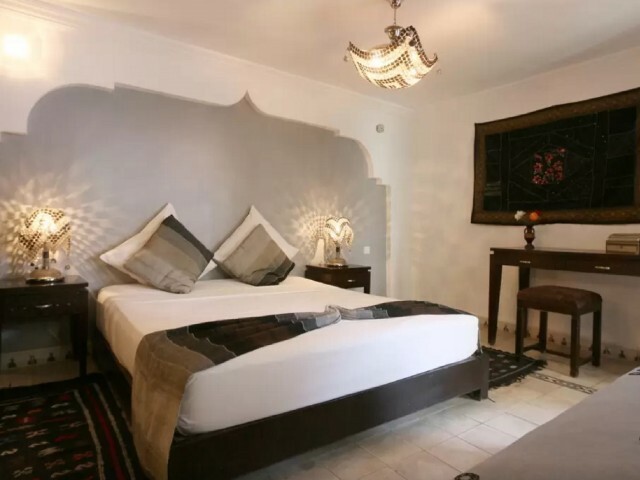 It is located in the medina of Marrakech, 5 minutes on foot from the Jamaa el Fna square and the Koutoubia mosque. 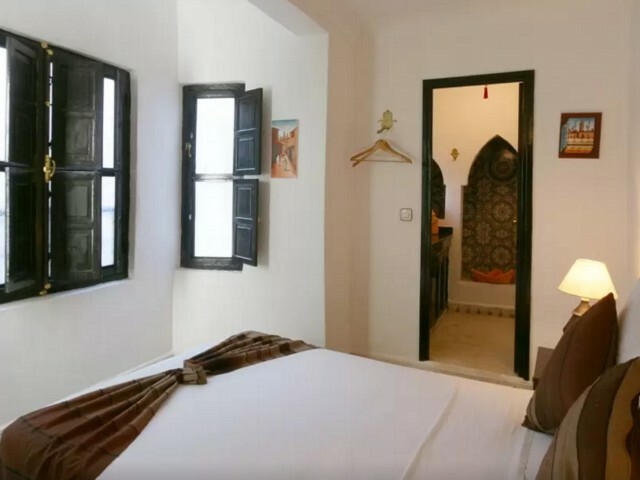 Presenting a traditional Moroccan decor, it features a rooftop terrace and free Wi - Fi in its parts Commons. 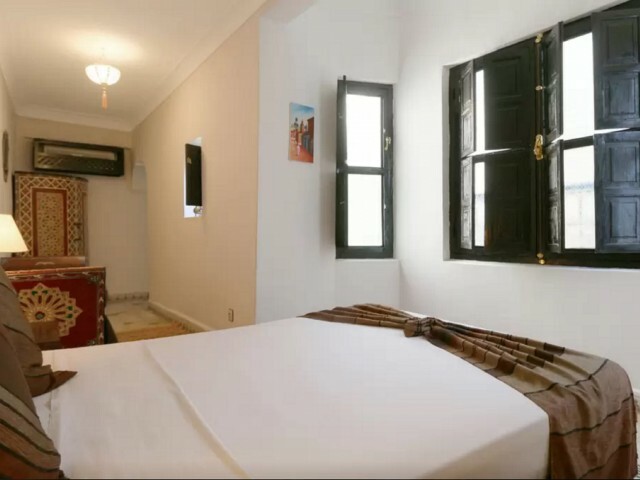 Its air-conditioned rooms are decorated in a traditional way. 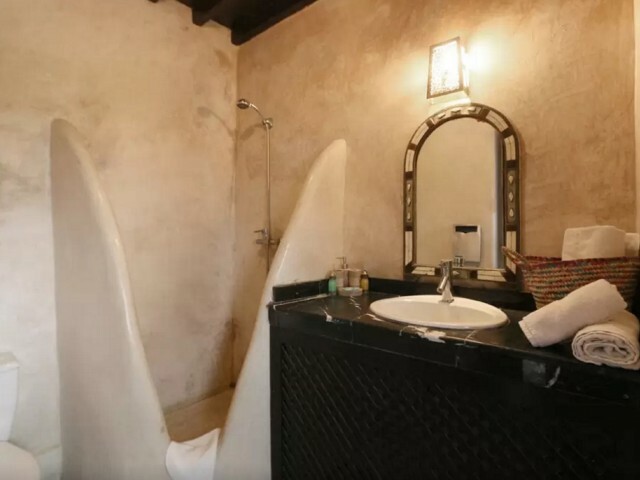 They include a private bathroom with shower. 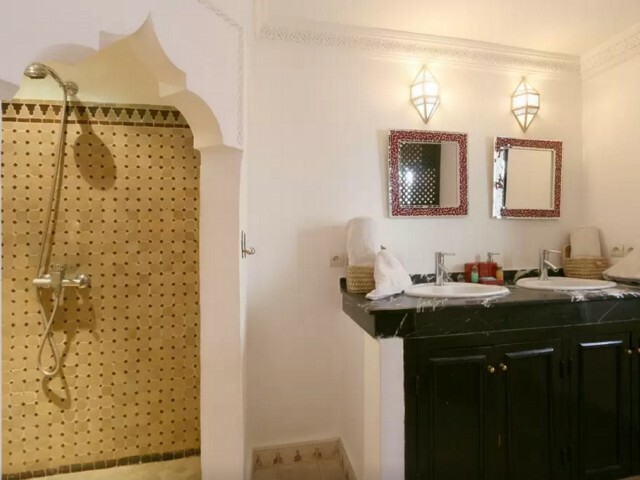 The Riad magic d'Orient prepares each morning a Moroccan breakfast. You can watch TV in the lounge. 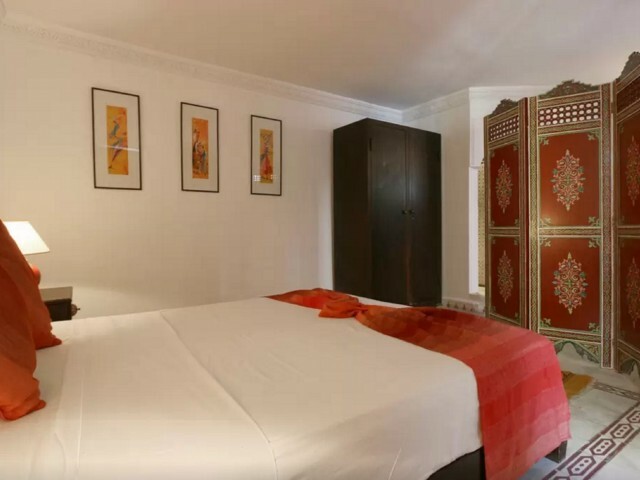 You will have the possibility to dine at the hotel on request. The owner will be help you organise guided tours and trips. 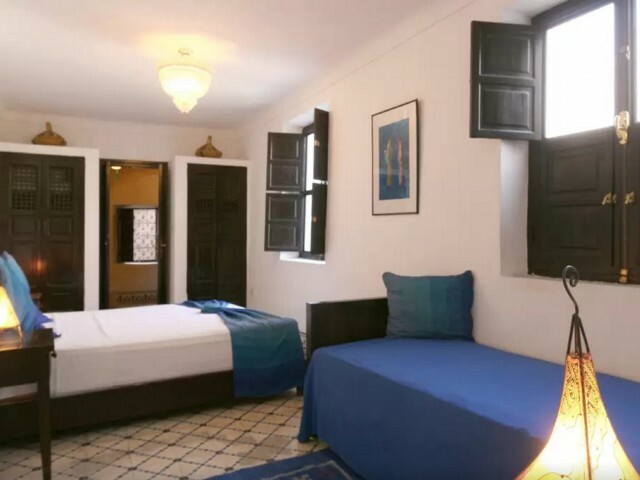 You can reach from Marrakech Menara airport or the Majorelle garden in 10 minutes by car. Transfers are provided on request. Possibility of cooking on place. 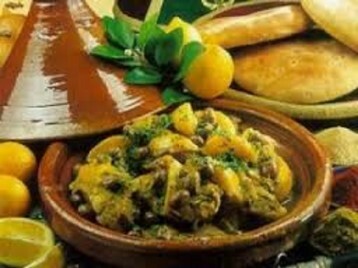 This district (Medina) is an ideal choice for travellers who are interested in these themes: souks, shopping and markets. 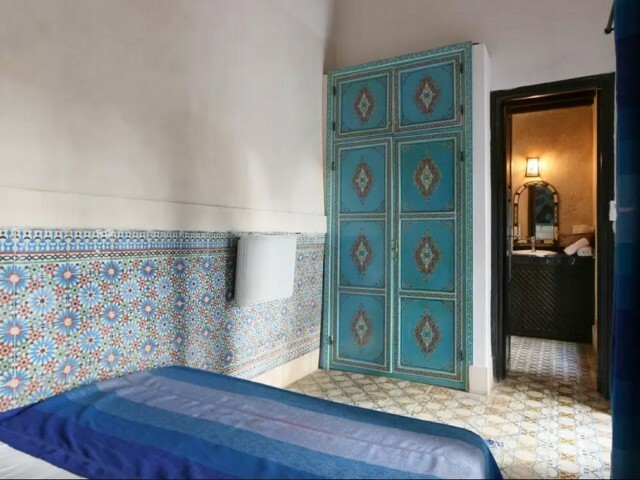 With regard to the Riad, of large and beautiful doors d? 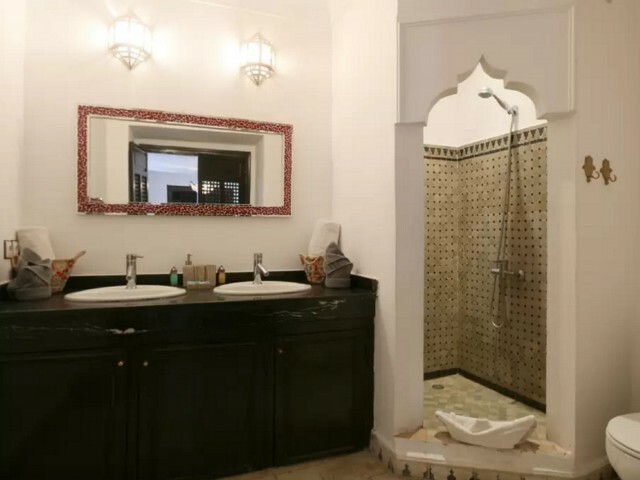 origin, painted and carved wooden enhanced finely chiseled stucco, an alcove in Cedar, marble on the floor, a swimming pool in zellige and a resplendent Palm-Palm adorn a vast and bright patio. Steps of Bab Laksour - l? 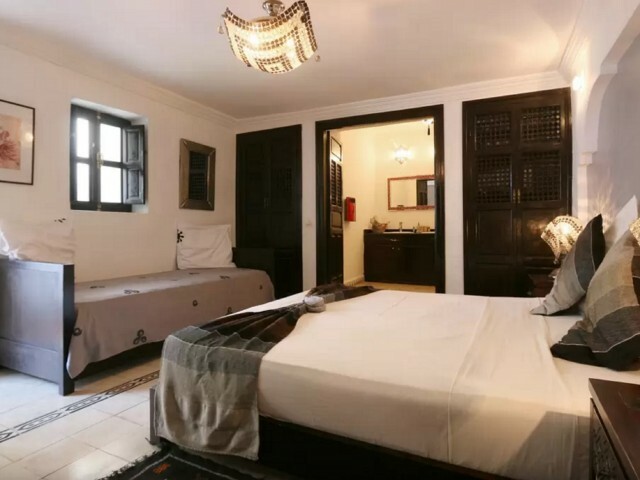 one of the gates of the medina - and close to the District of Mouassine, a riad ideally located close to the souks and close to the Jemaa el Fna. For relaxation and idleness, a pleasant lounge? dining room and a charming flowered terrace woodland where the views are breathtaking. 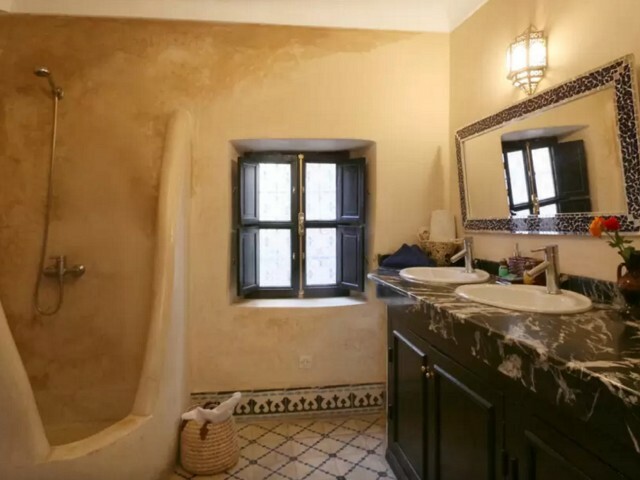 Intimate and subtle décor in each room in the evocative name of? a perfume oriental and the colours of l? 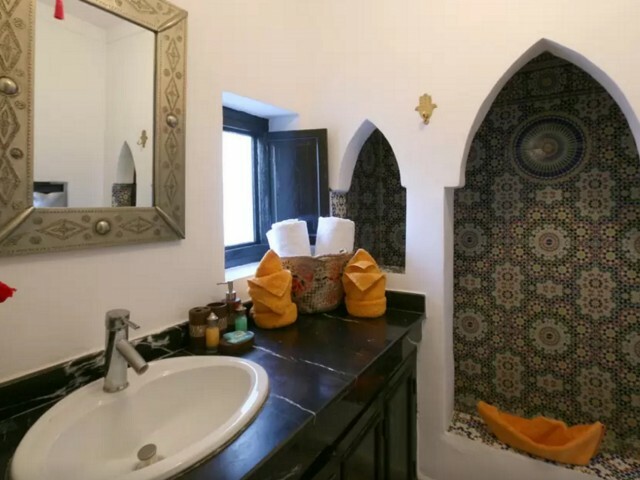 crafts Moroccan. 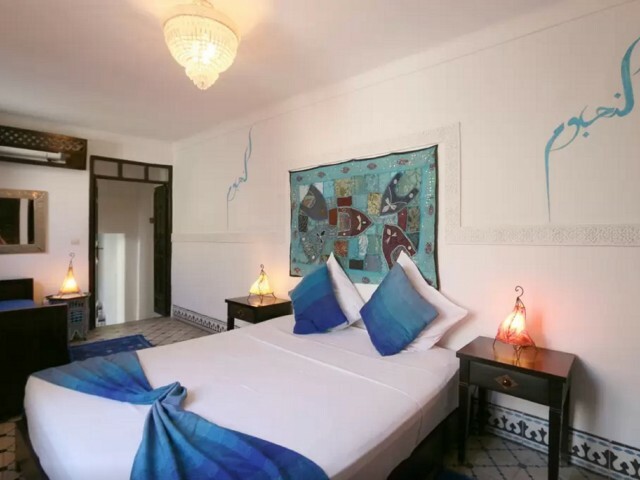 An atmosphere warm and discreet to appreciate the sweetness of life of Marrakech.